There are tens of thousands of plugins available to WordPress users. So many, in fact, that it’s difficult to know which ones really make a difference and which are overhyped. Plenty offer useful niche solutions, but few are truly must-have plugins for all sites. No matter what kind of site you’re running, or what niche it belongs to, there are certain plugins that you’ll want to install. And those are the tools we’re going to discuss today. In this article, we’re going to introduce you to five must-have plugins for WordPress and explain what makes each one stand out. Better yet, we’re also going to provide real data to justify why we think each plugin is essential. Social media is the source of over 30% of referral traffic to most websites. That means you’re losing out on a massive amount of potential traffic if you don’t remain active on social media. Just to give you an idea, approximately 2 billion and 300 million users log into Facebook and Twitter respectively each month. If every post on those networks can increase your chances of reaching even a sliver of those users, it means that the plugin we want to point out to you here is definitely worth your time. The first of the must-have plugins on our list is Revive Old Post. It’s designed to help drive more traffic to your website via social media. To accomplish this, the plugin takes your site’s new and old publications and automatically shares them to Twitter and Facebook. Share your new and old posts to Twitter and Facebook automatically. Set a schedule for your social media publications. Include hashtags and links back to your website. There are both free and premium versions available. Yoast SEO is by far the most popular SEO tool in the WordPress landscape, and it’s easy to see why it’s one of our must-have plugins. Not only can it help you improve your SEO, it can even analyze your content’s readability. About 79% of users only scan through your posts and pages, so the more accessible your copy is, the greater your chance of retaining their attention. As far as SEO is concerned, there are plenty of ways to drive traffic to your site. However, none offer as much potential as search engines. Each day, Google alone handles over nine billion searches. It’s not an exaggeration to say that organic traffic can make or break a website, and you can’t buy your way to the top in most cases. Just to drive home that point, only 5% of search engine traffic leads users to paid results. That’s why working on your keyword strategy is critical for every website. Optimize your WordPress posts and pages using keywords and meta descriptions. See how well your content is currently optimized, and make improvements easily. Improve your content’s readability with simple tips. The base version of Yoast SEO is 100% free, and there’s a premium version with additional features. An average of 30,000 websites get hacked every day. When you consider the fact that WordPress powers nearly 30% of sites on the web, you can see why it’s a frequent target. Moreover, parts of your WordPress website can sometimes stop working due to simple errors. For example, if most people use 10 or fewer plugins on their sites and half of those receive monthly updates, it’s clear that the risk of running into compatibility errors is common. A single recent backup can save you a ton of headaches, whether you’ve been attacked, encounter a compatibility issue, or simply want to migrate your site. This is where our next must-have plugin comes into play. There are plenty of WordPress backup plugins available online, but few of them are as powerful and easy to use as UpdraftPlus. It integrates with multiple cloud storage options to safeguard your backups. And you can even automate your backups with a recurring schedule. Create automatic or manual backups of your website. Store your backups locally or on the cloud. Restore your website to a previous state. There are both free and premium versions of UpdraftPlus available. The average website’s file size is 63% images. That means optimizing your images can make a huge difference to your site’s page load times. Why is that important? Because if your website takes more than three seconds to load, over half your visitors will abandon it. In case that isn’t worrying enough, 79% of online shoppers might not return to your website if they find its performance lackluster. While images aren’t the only thing that impacts website performance, optimizing your WordPress images is a key component of improving your page load times. Compress JPEG and PNG Images takes every graphic you upload to WordPress and optimizes it so that it takes up less space. It does this using ‘lossy’ compression, which means you get drastic reductions in size with minimal loss of quality. Automatically compress your images using lossy optimization. Optimize your JPEG and PNG images. Resize any images you upload to your website. This plugin is free for up to 500 images per month. WP Rocket is a powerful caching plugin that helps you to speed up your loading times. It does this by creating cached copies of each dynamically-generated page on your site, so your servers have to do less work. We’ve already talked about why quick page load times are critical, and caching solutions can be an even more effective solution than image optimization. For example, the W3 Total Cache plugin can decrease your loading times by over 43% on average. WP Rocket does even better – in our caching plugin tests, it decreased page load times by a whopping 63%. It may not be free, but the results are more than worth it, especially if there are conversions on the line. Cache your website’s dynamically generated pages. Enable lazy loading for faster loading times. Integrate your caching solution with a Content Delivery Network (CDN). WP Rocket is a premium tool that starts at $39 for a single site’s year-long license. No matter what type of website you’re running, there are certain plugins that are always worth installing. Revive Old Post: This plugin can help you drive traffic to your site using social media. Yoast SEO: You can increase your organic traffic using simple SEO techniques. UpdraftPlus: Backups are critical for any website, and this plugin makes them simple. Compress JPEG and PNG: Image compression can help you make your site load faster. WP Rocket: This is a powerful caching solution that will speed up your website. 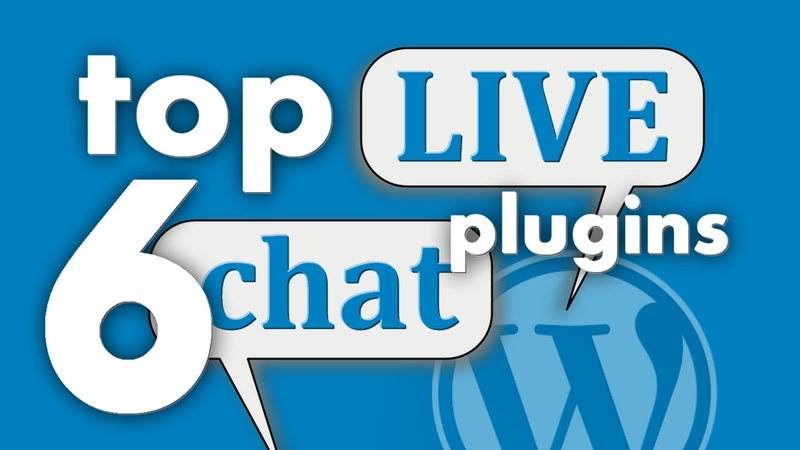 Do you have experience with any of these must-have plugins for WordPress? Share your thoughts with us in the comments section below!